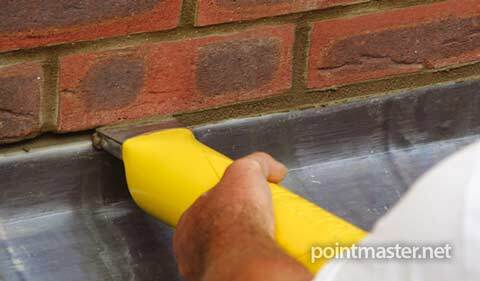 The PointMaster is very effective when applying regular mortar in patios and paving slab mortar joints. 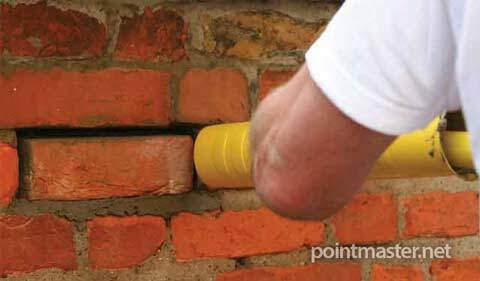 Because the tool's design ensures that the cement cavity is filled from the back, paving joints are completely sealed. 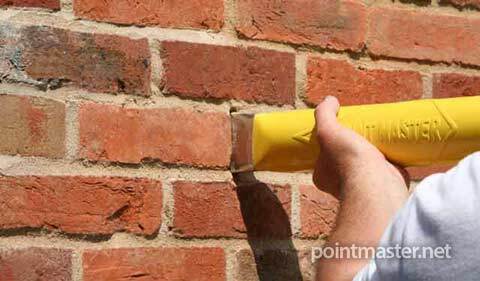 This is far more effective than the tradional method of using dry cement or brush in compounds, as gaps and air pockets are removed and a "complete fill" is ensured. 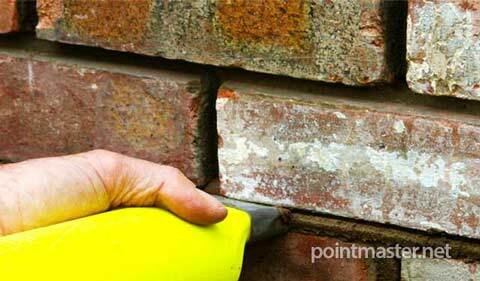 the PointMaster is being used to fill mortar joints between Indian Stone paving. Application is precise, and most importantly, the surface is kept clean. 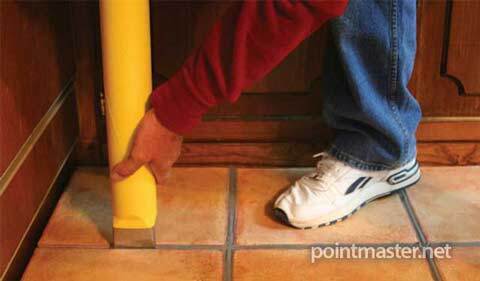 Where the paving foundation contains air pockets underneath the mortar joint, the tool can improve the foundation of the slab as mortar is forced underneath into the gap. 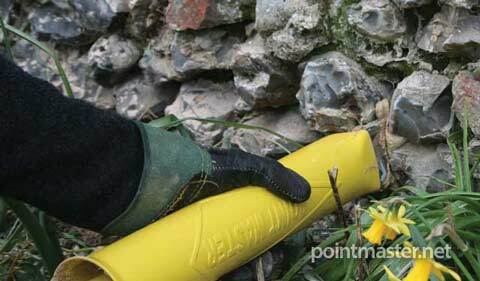 This will reduce the chance of the slab moving under-foot and thus further enhances the life of the surface. 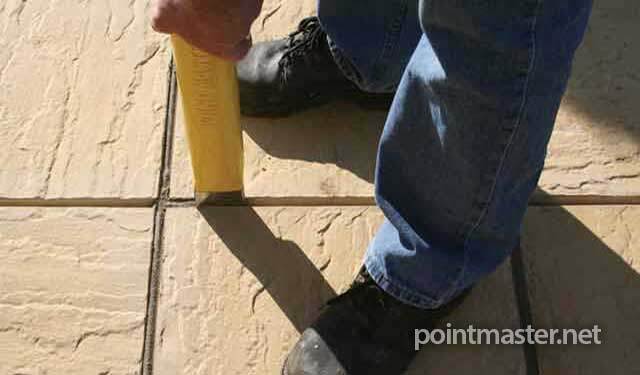 On regular sided Paving and Patio slabs, the application of mortar is fast and precise; as shown on our demonstration video we fill 7, 45cm slab joints in just 25 seconds with one fill of the tool. 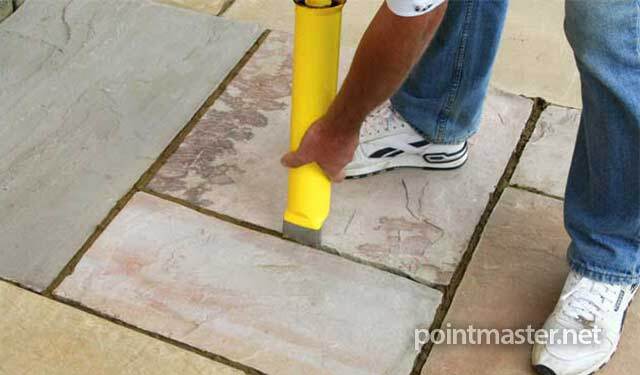 At whatever speed you work pointing is much simpler and many times faster when compared to other methods.This tool provides a cost effective and simple solution to pointing patios, paving slabs or flags. Click the "Play" button below to watch the PointMaster grounting slabs video.